Early in the morning as in 4.40am we have to wake up for the early hiking due to we want to see the sun rise. Anyway luckily we manage to crawl out from the bed. We stat depart from PJ around 5.00am. Everyone still in their sweet dream. Finally we reach the destination around 6am. It is still a total dark for us to hike, so it is necessary to bring along headlamp to hike. 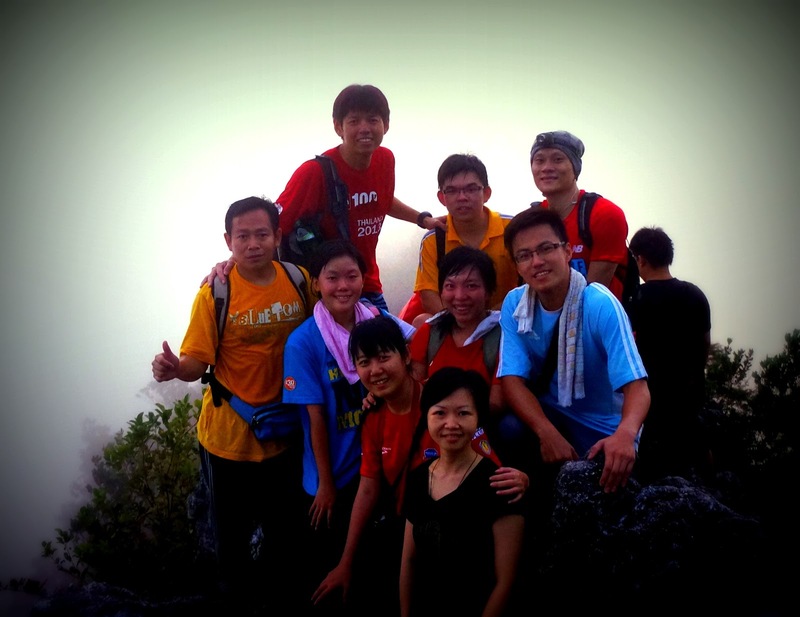 It's good that you hike with big bunch of people especially those experience hikers. 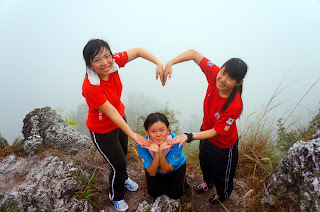 This is my first time to follow my friends to hike this bukit, according to them is dangerous and a bit tacky. 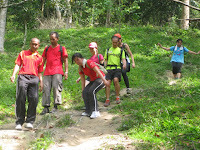 So is better you train yourself and hike a few bukit before you go there or guide by experience hikers. 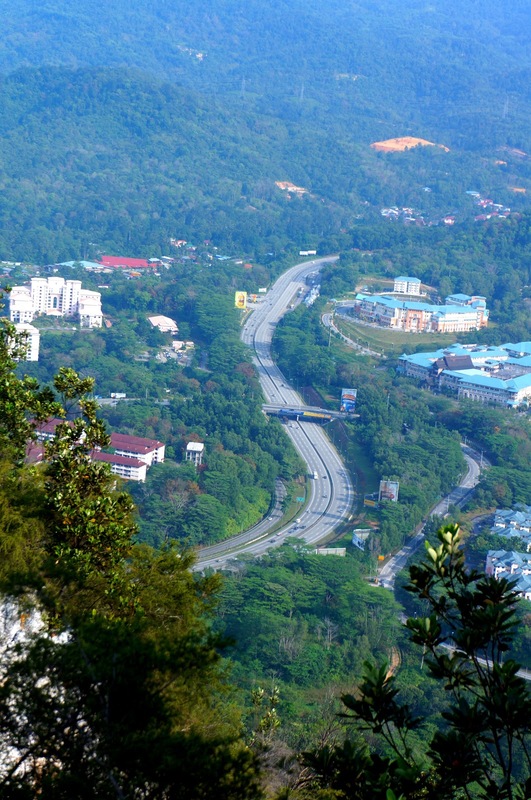 To me i am kinda beginner to this type of bukit. 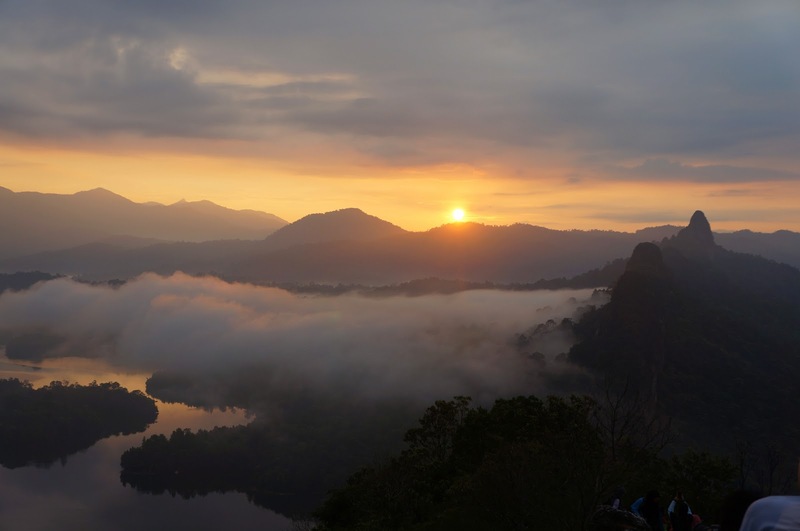 Bukit Tabur is also known crystal hill. As i know, Bukit Tabur divided into few trails which are Far east, west,east extreme and more. 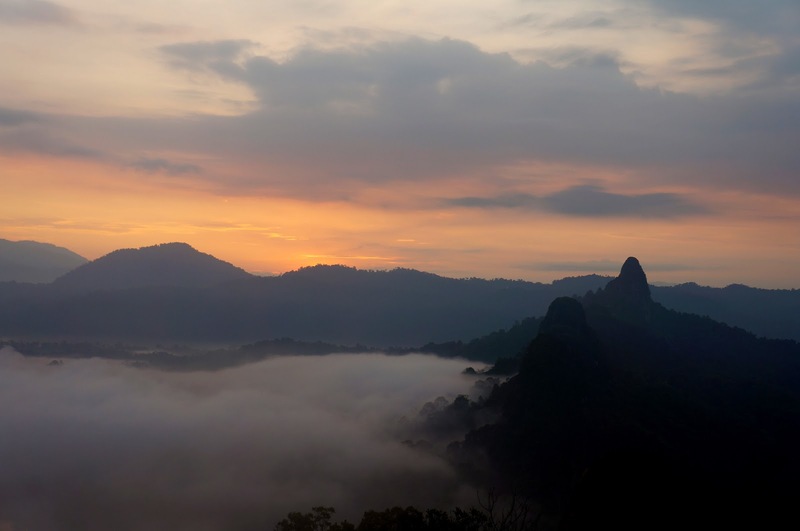 Bukit Tabur is located at Taman Melawati in Kuala Lumpur. This hill is a magnificent limestone ridge. 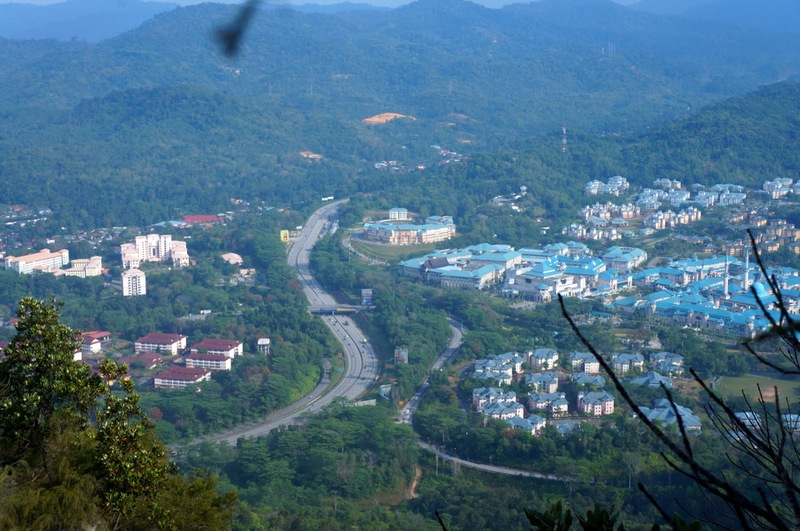 Why it is call crystal hill, is due to the hill contains quartz crystal which appear on the surface of the limestone. We start hike around 6am, everyone steps are so fast to rush before the sun rise. 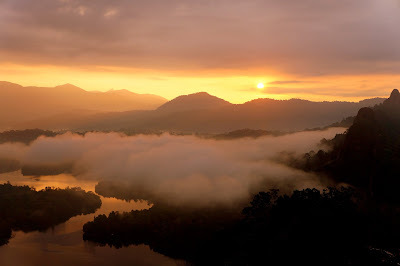 Finally we are up to the place to watch sun rise but the sun grandpa haven't wake up so we are waiting and start ss-ing. The first response of me is WAAAHHHH....This is amazing..so nice..is like you are in Heaven!!! 一片云海仿佛孙悟空驾雾腾云。 Thanks to my friends brought me to this place. No regrets to my decision and take risk to go there. You know what? 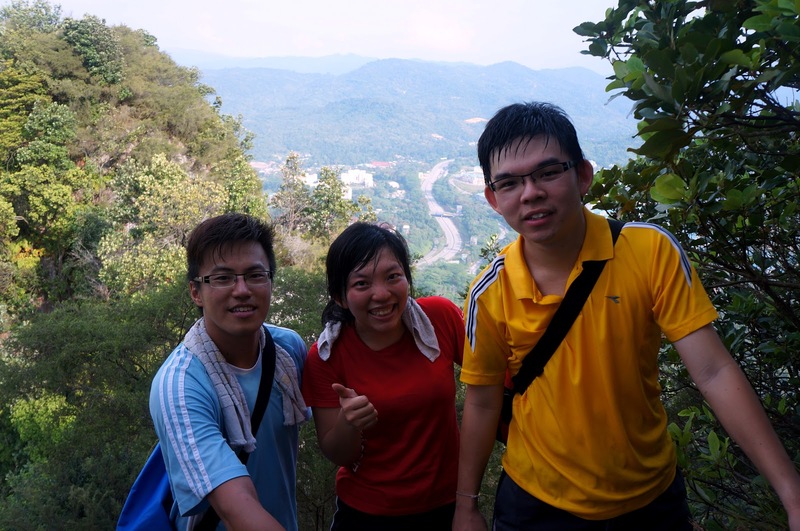 I thought this was the final destination who knows is actually first station, first peak, there is another 8 peaks more..sweatsweatsweat...-.-" alright, after rest and watching sunrise we have to keep moving on. We pass through two stop point which is quite dangerous and have to be careful. One point is use the handle to cross over (which dont have picture to show) another is as shown below have to use rope slowly go down) where you need people to tell you where your leg should put. You might say it seems easier, try it yourself then you will know. 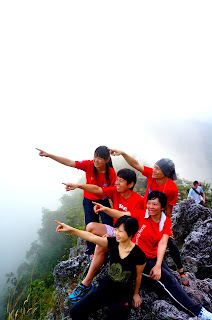 Finally, the above two pictures displayed is the last peak of the journey, which no any route for you to move on. 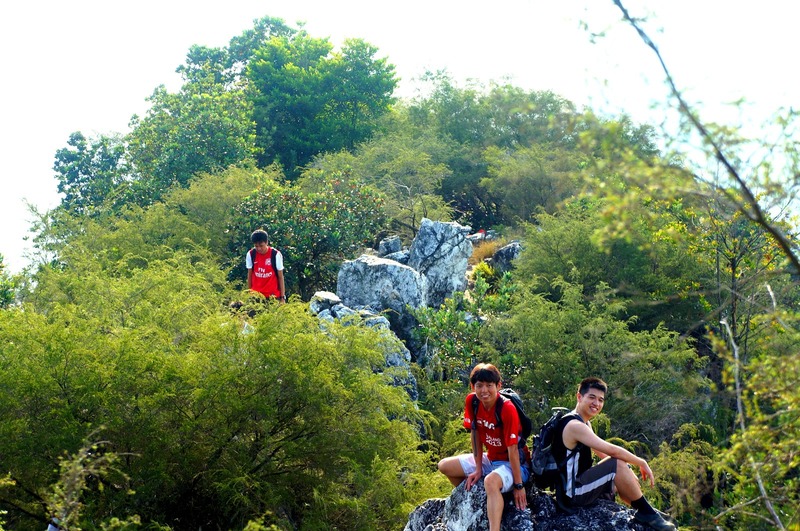 Hiking over this 9 peaks take around 3 hours included rest and ss-ing This is not the end, cause we have to hike down the hill. Before we go back, everyone rest and have a cup of nice coffee prepared by other hikers. They all are so nice, bringing things up and share with everyone.I think i am too addicted to coffee, the moment we smell the coffee brew we are like suddenly awake and after drank it cant feel any tiredness. 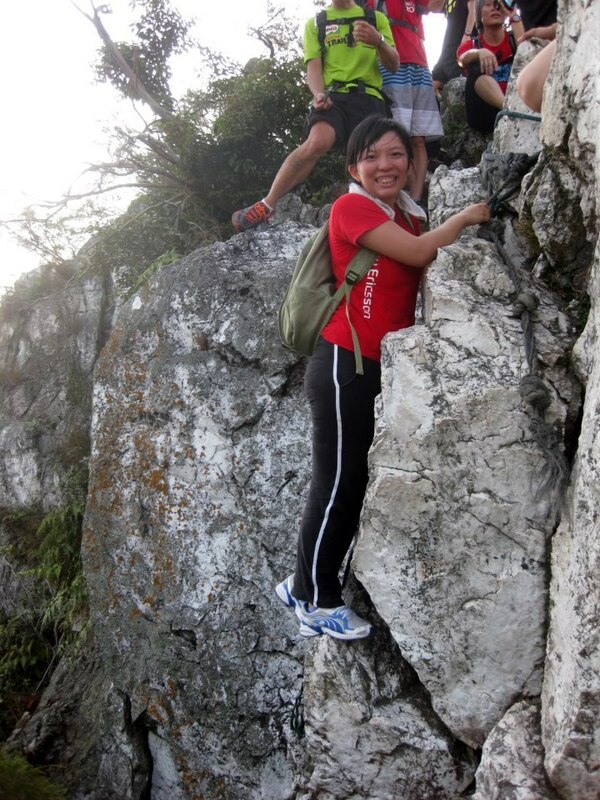 Again, never forget to take a big group of hikers photo. 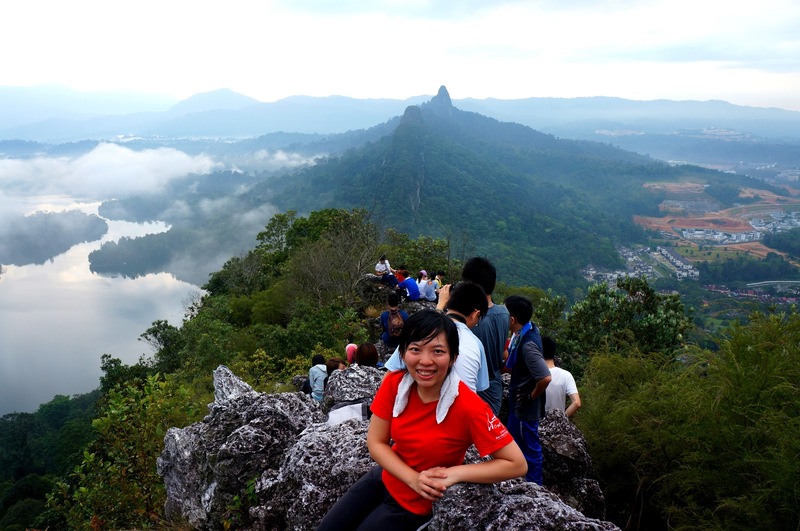 This is my first experience to hike bukit tabur. 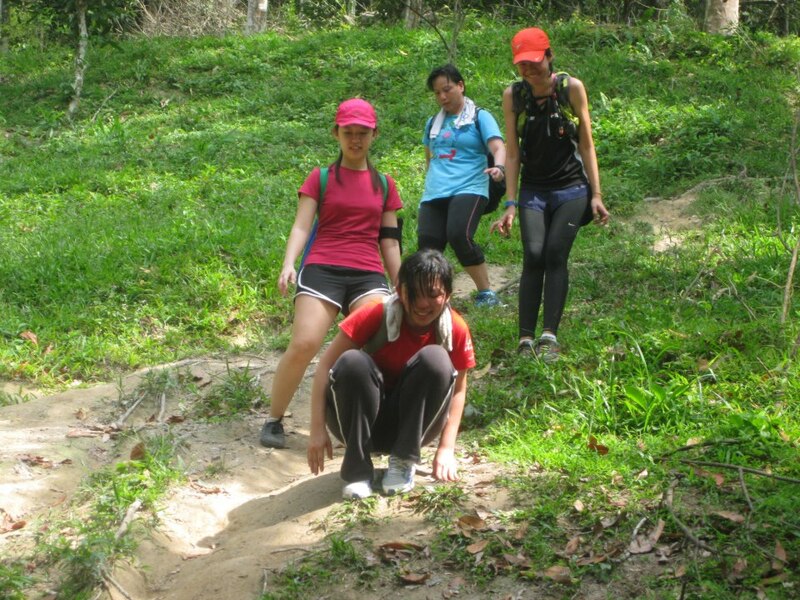 As they are still resting, i decided to go down first, hiking the part that i fear the most is going down the hill. Dont ask me why, i just not that fast and like a tortoise. I try to becareeful but one most important thing i forget is to cut my toes nails. 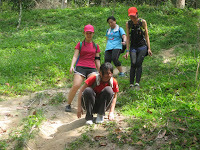 So going down the hill is like killing me. In the journey of going down i try to balance myself as much as possible but i didn't use proper way to go down according to one experience hiker. In the end, i slip and 'sit' on the ground. That uncle told me i have to curl my toes up and go down in small step. So that my toes' nails wont feel pain, if not my nails will break. Yeah, i cant imagine how's my nails condition, for sure very terrible due to the consequence of having long nails and wrong way of going down. My nails all turn into purple red..T.T i take this as lesson, i sure remember to cut nails before i go hiking. 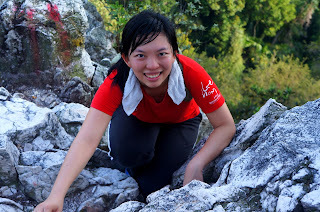 Sigh, still i try to tahan and adjust the way i going down to finish up the whole.